Good morning friends...hope it's been a good week so far for you! 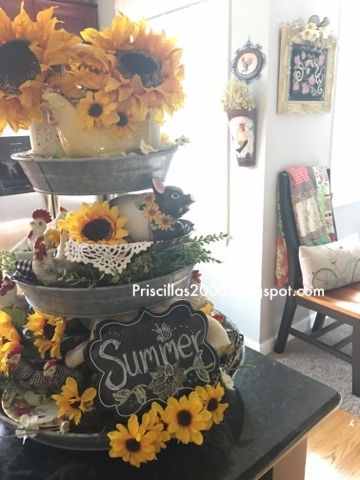 I'm here to share the galvanized tiered tray all sunflowered up! 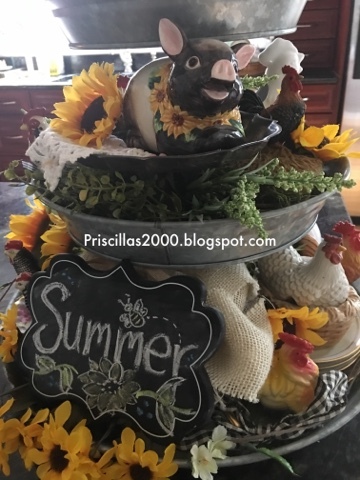 I went to a flea market last Sunday with my daughter and I found the little sunflower Fitz and Floyd pig ( $3.00) isn't he cute! 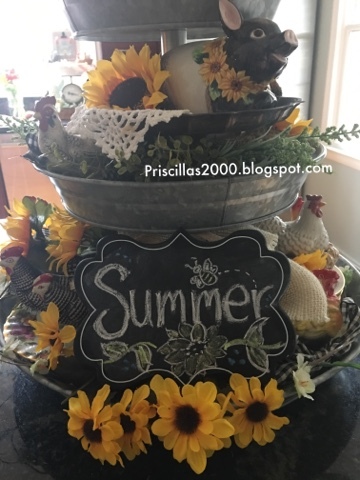 I stuck a little chalkboard with summer drawn on it front and center.. 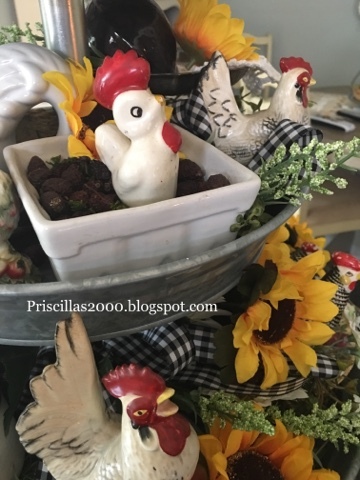 There are big sunflowers in painted mason jars in the top tier with a cute yellow vintage chicken.. I also got this little tiny vintage chicken at the flea market..he was $1.00 and he is just adorable! I love how you incorporate small figurines that is part of the overall design. The pig is sweet and perfect for the tray. Sunflowers remind me of late summer and the beginning of Autumn. This is cutest tray you put together:). 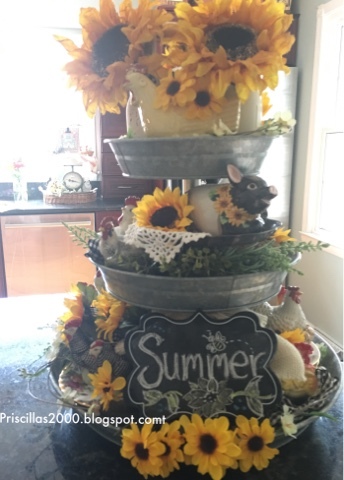 Sunflowers just scream summer to me so I do love your latest tray display. And the little piggy looks right at home there--nice find, Priscilla! Your find such cute and interesting items. This is so pretty. To quote Charlotte's Web, "That's some pig!" love it! Your blog is always an inspiration.